Do you like Starflict.io? Share it with your friends. 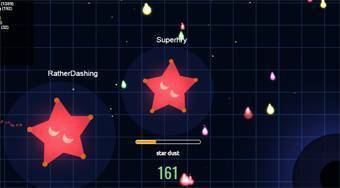 Starflict.io is another very nice multiplayer game from the popular .io games from the universe. Fly with the red star in the universe, collect color stardust, increase your size, and quickly turn around to try to eliminate the stars of other players around the world.